David, a Raleigh, North Carolina native has been visiting Nantucket with his family for as long as he can remember, and has decided to call it home. He recently graduated from the University of South Carolina with a degree in American History and US government. He was a member of the Sigma NU fraternity and actively worked in fund raising efforts in support of Alzheimer’s research and teen suicide awareness. Working part time during most of his college years at a real estate property and media law firm sparked his interest and passion for the industry. 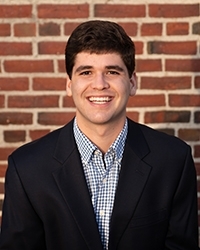 The recent graduate, in his 3rd consecutive summer on Nantucket, is a young and highly motivated agent with a wealth of knowledge of Nantucket and a strong passion for the history and preservation of such a unique island. He knows first-hand that renting and owning on Nantucket represent not only an investment, but a place where families and friends forge life long memories.